Penelope's Pad: Fruit, Berries and Bushes, Oh My! We do have a yard. In fact, when we were looking for a house, one of our requirements was that it sit on at least 1/3 acre. I think that after living in St. Louis for 6 years, we wanted a little space. Also, Woo has dreams of having a large garden, and I have dreams of relaxing outdoor spaces to sit and eat and entertain. Well, we definitely have the space now. We have about a 3/4 acre, and about a 1/3 of that is pasture. But the house has been so demanding, we haven't done much work outside. One thing we did learn in St. Louis, is that trees take quite a few years to grow (shocking, I know), and we moved before any of the trees we'd planted had gone anywhere. 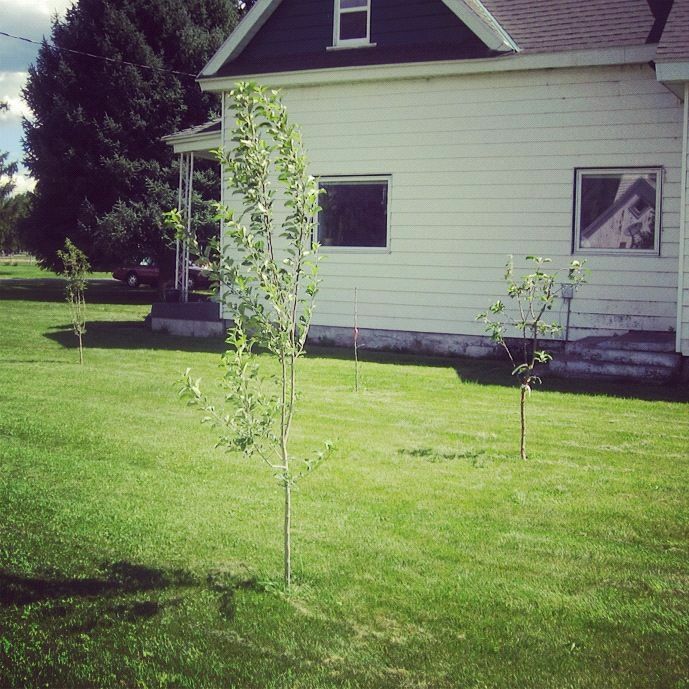 We vowed to plant trees in the new place the first year we could, and we did. 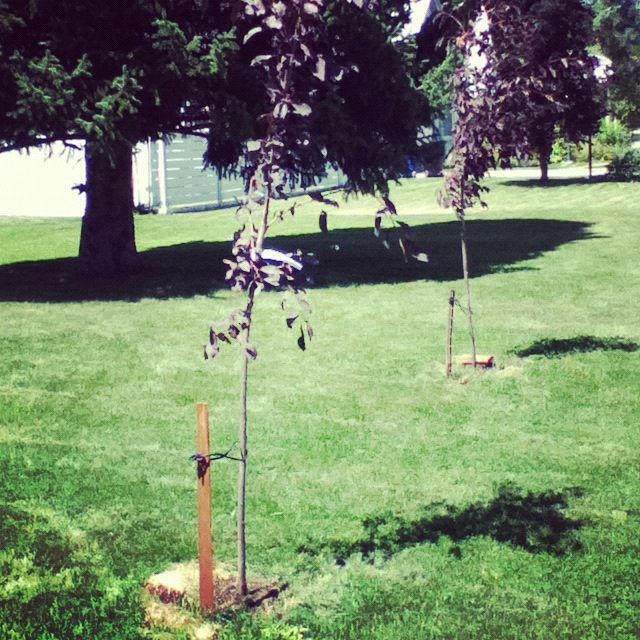 We have 5 apple and pear trees. No fruit yet, but all but one are doing well. We also have lots of mature trees already. You can see our spruces in the two pictures above, and we have lots of Aspens, a Juniper, gigantic lilac bush, snowball bush, and more that I didn't photograph. 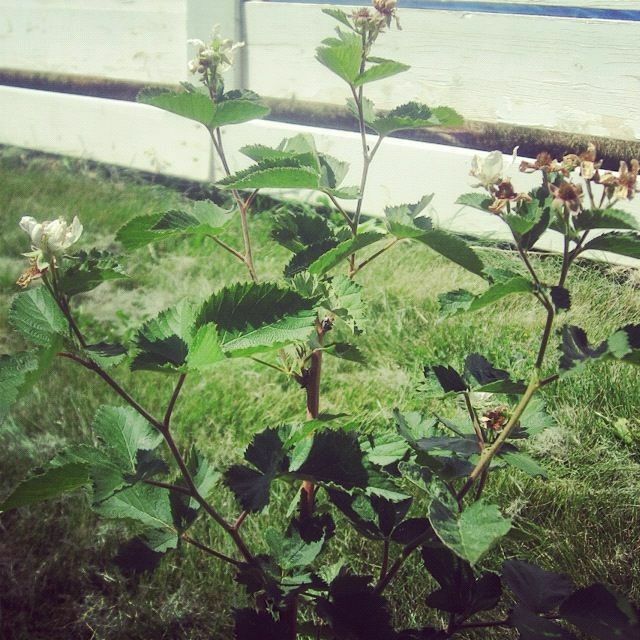 We also planted some berry bushes right away. We'll be getting a few blackberries this year. And a bunch of blueberries. We don't have raspberries yet, and there's really no excuse. Half a dozen people have offered us starts, and we've never taken them. We're holding out for the best? Bear Lake raspberries, probably? 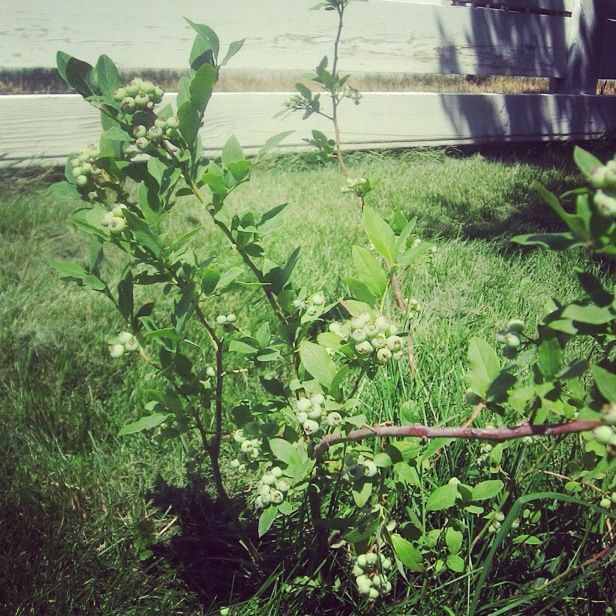 My dream is to have the berry bushes and fruit trees producing at their max right about when the kids are eating at their max. Hopefully, they'll go pluck a bunch of fruit off the tree or bush and eat it. I know I would/will. You've already seen this picture, but notice the porch to the front of the house? It needs a lot of work, and also, I'd like to wrap it around that corner before painting the house. We should be getting bids in the next couple of weeks -- I'll keep you posted. What about you guys? Do you like a large yard, or would you rather not deal with it? Are trees important to you? What about decorative vs. fruit producing?